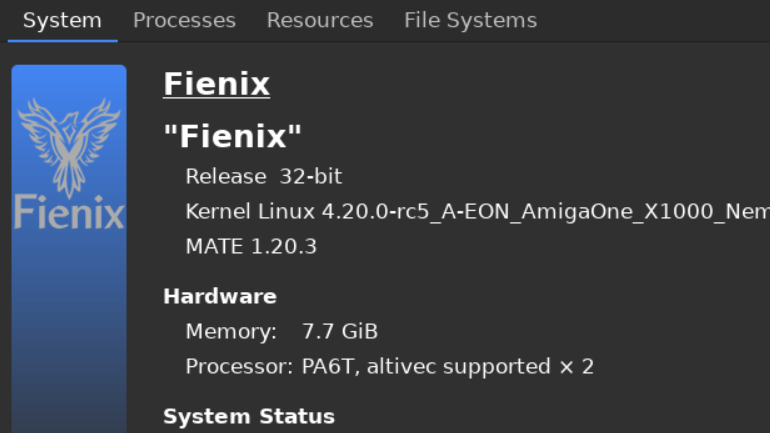 Fienix is a new Linux distribution for PowerPC, based on Debian. This project has been started in November 2018. On the web page you will find gallery of the desktops (MATE + Materia) and also instruction how to install on X5000 (X1000) and SAM as well as list of software. One of the applications is Arctic Fox - web browser based on Pale Moon ("cleansed" Firefox), which was prepared for PowerPC. You could find more info about Fenix and web browser on the Hyperion's forum in these treats: Fienix - New PowerPC Distro and Arctic Fox 27.9.12 (Firefox 63.0) a fork of Pale Moon.